In 2001 Macklowe exercised an option to purchase the leasehold interest of a car wash and parking garage at the corners of Broadway, West Houston, and Crosby Streets. In 2003 a ground lease was finalized and construction of a new six-story glass office building commenced shortly thereafter. 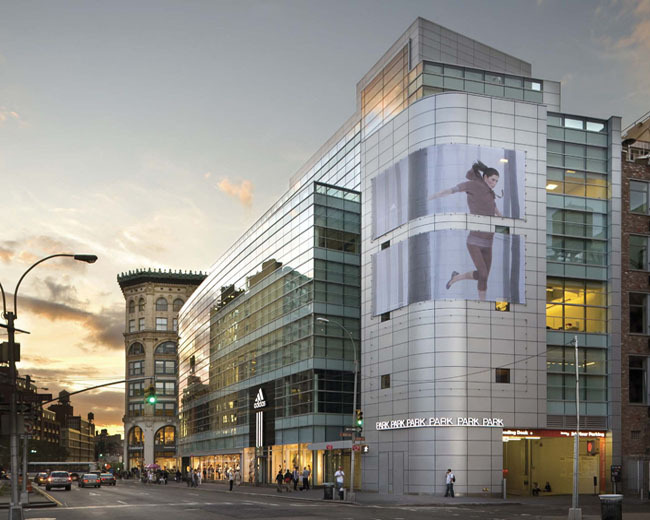 This 122,000 square foot development stands out like no other in the area, as it is not only the newest property in this part of SoHo, but the only office building of its type which regularly commands rents that rival that of some Midtown buildings. The building enjoys an unrivaled competitive position. The creation of this top-performing asset on the site of a former parking garage is yet another illustration of Macklowe’s unique vision and genius.